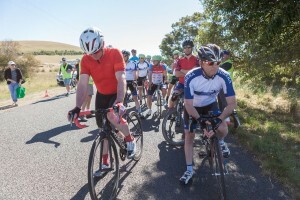 The EUREKA Cycling 2019 racing season started with a kermesse on a new circuit near Burrumbeet. 29 riders raced in four divisions, with results a mix of new and seasoned faces. 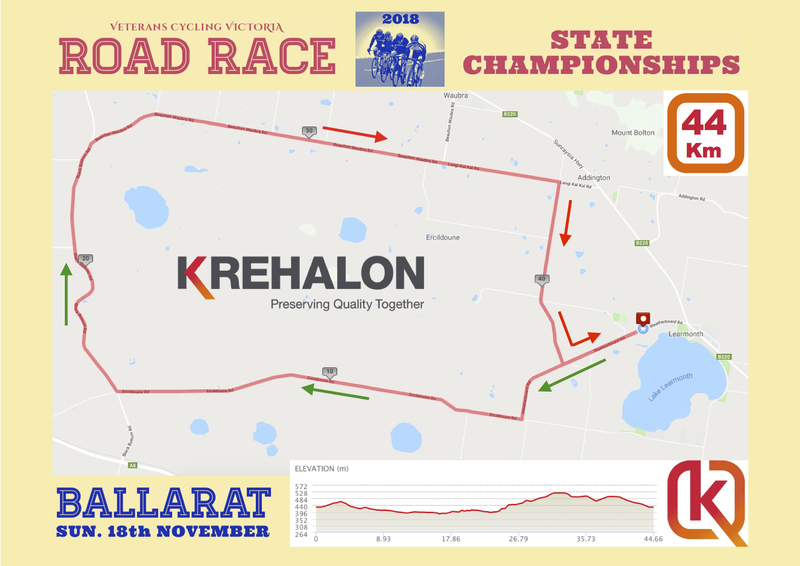 Eight laps of the undulating 6.4 Km circuit gave riders ample opportunities to attack in 51 kilometres of racing. Nine riders faced the starter in a line up for the ages. Unlike the other grades, no new faces, but uncertainty around the new course and the form that their competition would bring back from the summer “break”. A neutral lap allowed a sighter of the new course, with Rob Phillips, Matt Bowman and Andrew Rushton doing the majority of the pace-making which was solid enough to bring Division 2 back to only a couple of hundred meters in front. Once the race proper started, a pattern of sorts took place over the next four laps. ? Rob Ellis setting tempo with the occasional surge, while Rushton and Bowman attacked and Jason Birch and Craig Lee (united in their efforts) counter attacked. 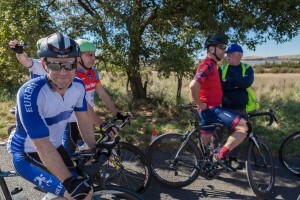 The action was mainly over the first half of the course – the second half was a little more benign, although it included the gradual climb to the finish. That climb was proving tough going into the moderate, but strengthening headwind. The question before the start was where could you attack on this course? The answer it seemed was “everywhere”. It was toward the end of this tough start that the bunch lost Phillips and soon after Peter Gunston, who had seemingly got through the hard stuff and earned a spot into the last couple of laps. Unfortunately, Gunston had run over something along the course and a slowly deflating tire ended his day. It was also around this time that the race started to change pattern, with Jason Hendry taking over some of the bullocking work. Richard Taylor had been riding a smart race up to this point, now he started closing down attacks and putting some pressure of his own on the front. This extra power started to pick the overall pace up and claimed its next victim, with Bowman dropping off the back. Birch took a look back and decided it was time to get rid of the always dangerous Bowman and the pace picked up again in the cross-winds down the avenue. 10 km to go, six riders left. At this point, self-preservation or the desire to finally put the Division 2 bunch behind them (also, to maintain the natural pecking order) was enough to persuade Ellis to go to the front and head for home. Would the hard pace would discourage any more attacks? Ellis led through the final corner and was surprised to see the bunch had sat up. Head down, he emptied the tank and stretched his lead out to fifty metres. Birch, Lee and Hendry were stalking their prey before the inevitable sprint cresting the hill. Birch and Lee had the race finish planned. Lee leading Birch out and trying to drop Hendry. The uphill headwind sprint was proving hard work. Birch was able to hold his power and come up with the win over his lead out man Lee (who capitulated at exactly the correct moment). Post race discussions centred around Birch’s consistent summer of training and Lee’s disappearance off the Strava training platform. The largest field of the day belonged to Division 2 and included some trial riders and a new member. 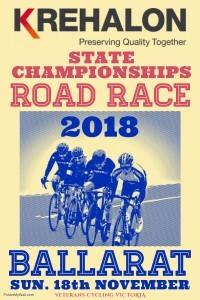 All experienced racers, how would the event unfold? After the neutral lap, the race plan was revealed as four training partners set about blowing the field apart. Gradually, Craig Lightfoot, Ash Burke, Bob Braszell and Alan Cureton applied the blowtorch. Early days, saw Tim Wright, Jeremy Humber, Mick Carter and Steve Linane in forward positions, whilst Tim Tyler, Noel Said and Mark O’Callaghan were slotted in comfortably as well. Cureton fell foul to a flat tyre just two laps in. The climbing and crosswinds quickly started to take their toll and the field stretched then started to crumble. Lightfoot, Braszell, Burke and Humber eventually cast off Wright and Carter. Two laps remain when Lightfoot observes that they are being hunted by a group of discarded riders. A pact is discussed – keep working, share the prize money. The gap is closing on the leaders, Lightfoot calls they are just 500 metres behind. Keep working! Will all their hard work be lost? Whoosh, there goes Division 1…oops! Burke correctly chastises Lightfoot, who by this stage has blown himself up and can barely hang on to the other three. Home straight – Burke and Braszell are wary of the canny Humber as they approach the climb. Humber has track speed to burn. Over the crest and Burke launches early which splits Braszell off. Humber is quickly onto Burke’s wheel though and the result is a formality. In just his third season, Phil McLennan was the seasoned rider in an interesting grade. 2018 sensation – Jakkii Dawson – was among the numbers, along with three new members all lining up for their first race with Eureka. Matthew Angus gave the others a bit of a head start at the line and spent the first half of the neutral lap chasing them. Non-relations Geoff Martin and Shaun Martin made up the field. The pace lifted after the neutral lap with most of the riders swapping turns. On the climb Geoff lifted the pace again to test everyone’s legs. The field spread apart, then regrouped on the downhill section along the Avenue. This tactic continued through the next few laps and eventually led to the new members breaking away and leaving McLennan and Dawson to both wonder who invited those guys along. With just the finishing order to be decided, the kid gloves were off during the final laps and the race began in earnest. Coming up to receive the bell and Shaun got off the front – though he soon had Division 1 tacking on for a free ride. Not to be outdone, Matthew and Geoff were towing the Division 2 leaders along. Actually there were so many riders congregated together it was difficult to work out which division was being naughty and which division was being nice. The final lap saw a shake down and the two Martins were suddenly free and able to watch each other. Angus, Dawson and McLennan were still chasing, however their battles were of an individual nature. To the final straight and one last time up the hill. The two Martins being cagey with each other. 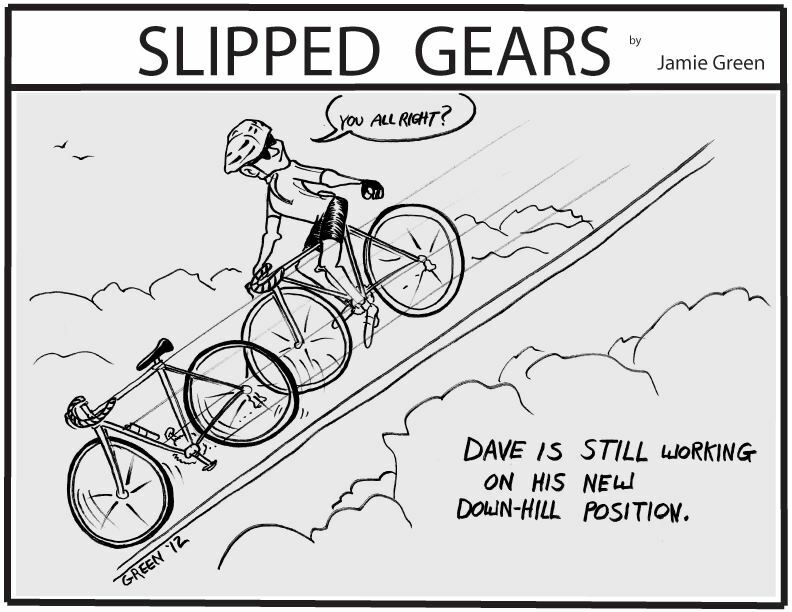 No attack on the hill, just a long sprint on the dead flat. Head to head all the way to the line with just a half wheel separating them at the end. An eventful race even before it started, with Graeme Parker puncturing on the way to the start line. A quick repair and a lift from Ian Nunn saw Graeme take his place. Soon enough they were away on their neutral lap. Brad Eppingstall was also back for a rare race along with Robert Young who missed a lot of riding last season. New member – winner of the Commodores Cup in the last race of 2018 – Emma Goodall was also lining up for just her second ever road race. Neutral lap out of the way and Emma was soon on the front, then a little bit off the front, then a long way off the front. In triathlete mode, Emma had blown the field apart. Graeme was chasing Emma, Robert was chasing Graeme, Brad was chasing Robert, Mal was chasing Brad. At times Emma may have even been chasing Mal, such was the spread of the field. Past midway in the race and Emma had a sizeable gap. Could she take this all the way? Disaster for Emma as a flat tyre ruins her winning chance. A quick repair and she is back into time trial mode, albeit at the rear of the field. Bell lap and Graeme is getting over the hill quite well. He has a small break on Robert. Brad comes through, then Mal who pulls up and is quite happy with seven laps of that difficult circuit, Emma is close behind. Over the hill the final time and Graeme takes a comfortable win, with Robert not too far behind. 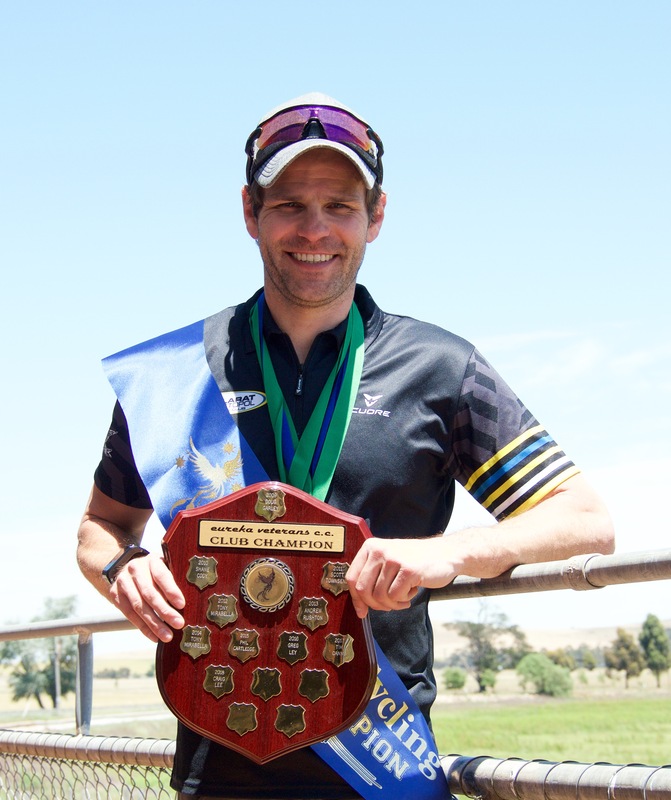 EUREKA Cycling held the trophy presentations for season 2018 at the club rooms on Lake Learmonth on Saturday 1st December, after the inaugural staging of the Club Time Trial Championship. 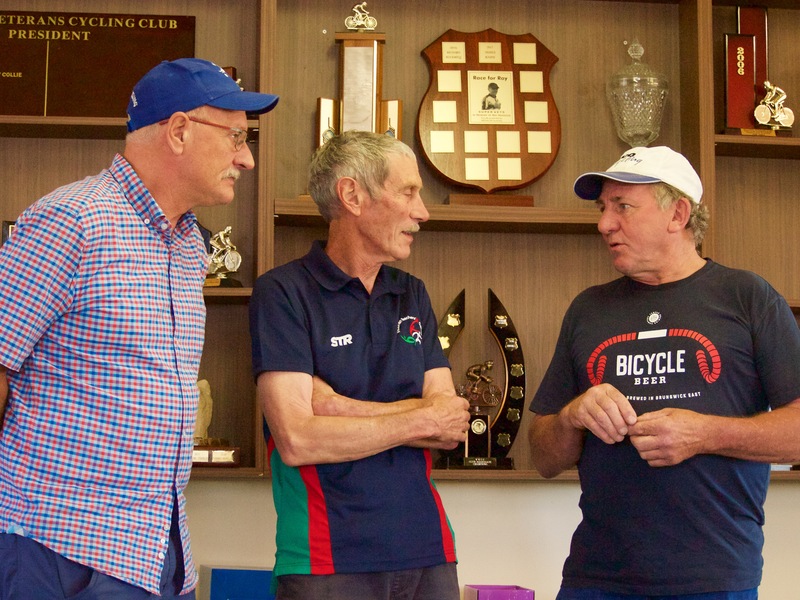 2018 signified the tenth anniversary of the Eureka Veterans Cycling Club. 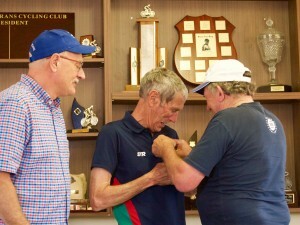 In recognition of the club’s achievement, it was decided that another club member would be honoured with Life Membership. The prime candidate for such an honour was a man who is well known throughout the Victorian veteran cycling community. A man who served his country in battle during the Vietnam war. A man who travelled to Belgium to give professional cycling a go. Club founder and Godfather – Ken Heres – was on hand to make the special presentation of Life Membership to club stalwart Terry. Ken spoke of Terry’s endless efforts for our club and how he was aways the first to give up his race and perform official duties so that others may race. The presentation was extremely popular amongst the members and we suspect the wider veteran community. As always, Terry deflected the limelight away from himself during his acceptance speech as he delved on the essence of what it is, that makes Eureka such a special club. EUREKA Cycling currently enjoys its highest membership and 2018 realised larger race participation throughout the entire season. 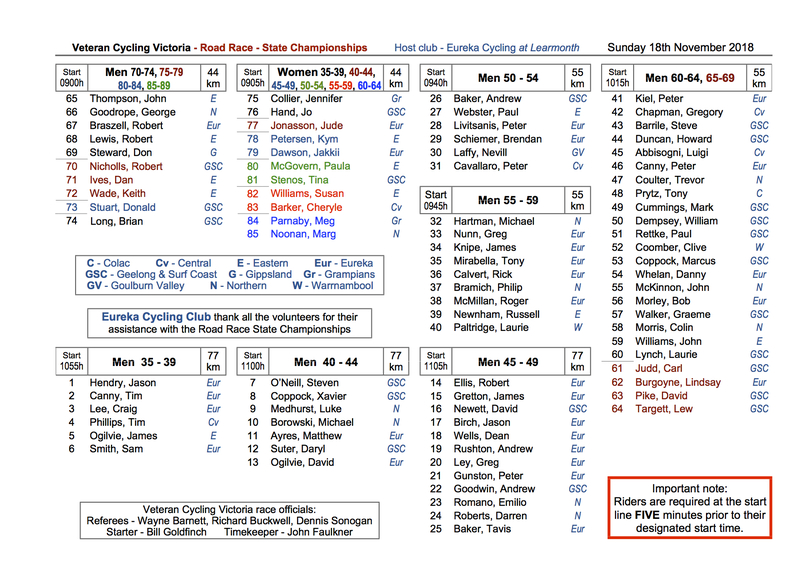 Increased rider numbers makes it that much harder to win a race, let alone be consistent against so many other competitors. The Club Aggregate is awarded to the rider who accumulates the most points throughout the season. Points are awarded for club racing, performing marshal duties, representing the club at Open events and extra points are earned for top five placings at club events. Winners of the Club Aggregate have typically raced a lot and finished high in the placings more often than not. 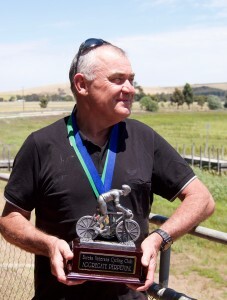 A previous winner of the Club Aggregate, Bob was able to place himself at the business end of many races during 2018. Bob, like many riders, has found new strengths by embracing the virtual world of cycling on electronic platforms such as Zwift. During his acceptance speech – which lasted longer than his Time Trial ride earlier that day – Morley covered many cycling topics and left no stone unturned as he explained what it is, that makes Eureka such a special club. One of the original members of Eureka Veterans Cycling Club – Adam Smith – has presented an award each year to acknowledge the efforts of a club member. The Committee discusses the merits of club members based on various criteria, before Adam selects the recipient of the Steelsmith trophy from those nominated. This year the Steelsmith Trophy was awarded to a man who has fought back time and time again from adversity. A man who gets back on his bike after battling injury or illness and lives his life. Unfortunately James was not present to accept the trophy in person. The nod to James gave us a warm glow. Congratulations to all the recipients of medals and trophies on the day. The 2018 season is over and we take a break until we kickstart the 2019 season in late January with a new race circuit and race type. 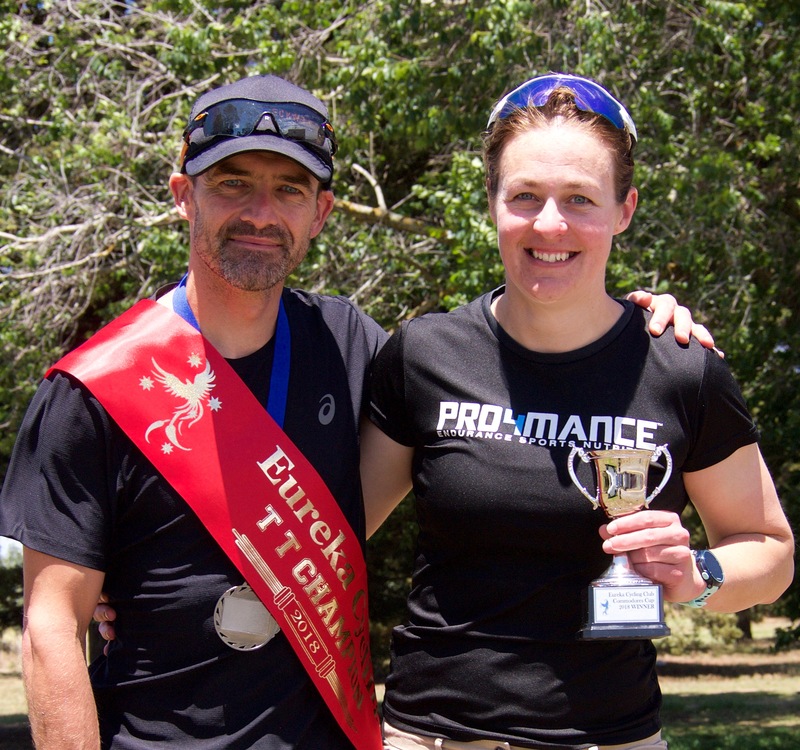 EUREKA Cycling closed out the 10th anniversary year with the inaugural Club Time Trial Championship. In keeping with recent tradition, the Commodores Cup was also awarded at the final race. Fastest times decided the TT Championship. 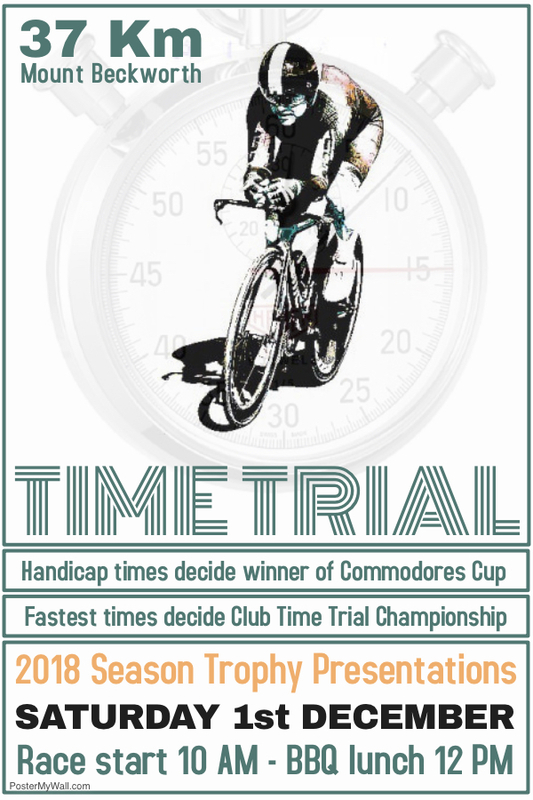 Handicap times decided the Commodores Cup. 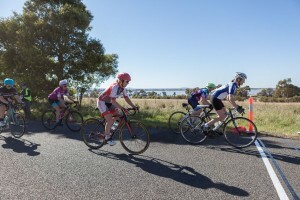 Eighteen riders started in the first Time Trial the club has ever staged. A strong wind was blowing from the north and everyone was mentally preparing themselves for an absolute smashfest. 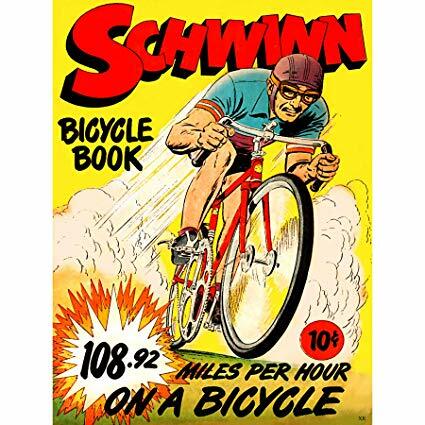 Riders would start at one minute intervals. For many, it would be their first ever Time Trial of any description. To the start line and Brian Ure started off proceedings at 10:00 AM. Ure sits a little taller than most riders. He caught a lot of wind today on his road bike. 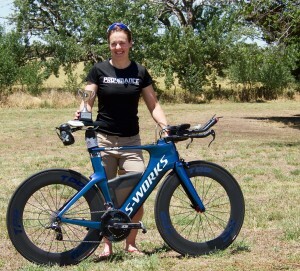 Emma Goodall was away next, in just her second ever race with Eureka. Goodall has a triathlon background and was riding a top of the line machine, weighed downed to ensure the wind didn’t blow her off course. One of the favourites – Rob Ellis – was all nerves before the event. His anticipation of the hurt he was about to endure had he sweating. Unlike a triathlon, he didn’t need to save his legs for the run leg… At the start line he pressed the “mental mode” button and was off. Ash Burke was hopeful of a lull in the wind as he rode out for his first ever Time Trial. He didn’t get it, however he did get smashed on his road bike! Stuart Brien brought experience from the Ironman 70.3 staged in Ballarat a few years ago. Brien rode the Time Trial leg in the team’s event back then without any aero aids…it would be the same on this day. The outright favourite for the day was Craig Lee (former triathlete). He rolled up to the start line on his TT machine (complete with rear disc wheel) only to be told by the assistant starters that he had a flat front tyre. Lee moved aside. Matt Bowman offered a spare wheel. Could it be delivered to Lee in time to start at the end of the list? Dean Wells was next away – with a regular road bike and clip on bars. 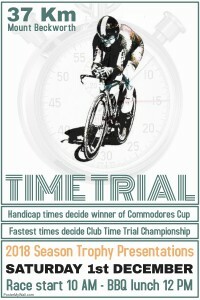 Would his recent time trial practise help his cause? Bob Morley had a harrowing experience just one week and a half earlier. Blown off the road by a truck whilst trialling clip on bars, Morley fell back onto the road and was lucky not to be struck. Chatty as ever at the start line, Morley’s witty commentary belied his nerves. Phil McLennan was looking forward to getting his large frame out on the road. He wondered pre-race just how much more this would hurt than cross country running. Another of the favourites – Matt Bowman – was next on the start line. 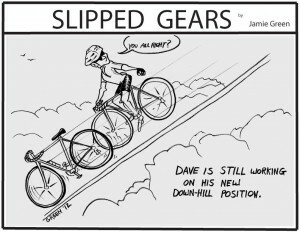 The man in black had a race plan to help him on the long climb. Coming back would suit his power abilities! Greg Ley was on his shiny new TT bike and certainly looking the business. Could he deliver in front of his personal cheer squad? Peter Canny rolled up on his road bike and proclaimed that the wind was definitely stronger according to his anemometer. Everyone just looked at him. Next to set off was Jason Hendry. It’s hard for the taller riders to make an effective aerodynamic shape – Hendry made it look awkward as well. 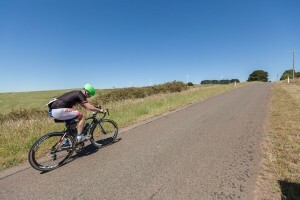 Chris Chatham is another new rider and another triathlete on a triathlon TT rig. Chatham is impervious to the pain he inflicts on himself and was champing at the bit to get out into the wind. Let us just assume that there were varying degrees of pain felt during the Time Trial. Fastest on this day was Rob Ellis. He denied Craig Lee by just 23 seconds! Matt Bowman was third fastest, just 62 seconds behind Ellis. It was a long gap to the next riders. Dean Wells was fourth fastest, just a handful of seconds later was Greg Ley, with a similar margin to Stuart Brien. After the handicaps were applied, the winner of the Commodores Cup was Emma Goodall. 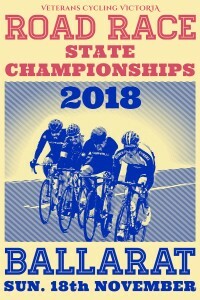 The State Championships have been decided on warm and windy circuits. New courses were designed especially for these Championships and they were roundly applauded by the riders who appreciated the hills. Entries for the Women’s events may have been light, however there was pride on the line. All the women’s events were combined on the 44.6 Km circuit. Cheryle Barker (Central) and Eureka’s Jude Jonasson provided spectators with a great finish – under half a second separating them on the line! The Men’s events over the 44.6 Km course were also combined. Robert Nicholls (Geelong) soloed away to the finish line to win his 75-59 race. Almost four minutes behind him, the 70-74 race saw four riders separated by less than one second. The Men’s 60-69 race was combined with the 60-64. Trevor Coulter (Northern) rode away to an easy win in the 60-64 race. 45 seconds later, a seven rider sprint settled the minor placings for Coulter’s race and also the quinella for the 65-69 race. The Men’s 50-54 and 55-59 races were also combined. 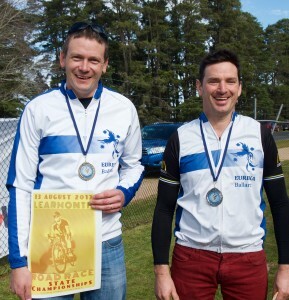 Neville Laffy (Goulburn) and Andrew Baker (Geelong) fought out a tight finish. Twenty three seconds later a four man sprint provided the podium for the 55-59 race. The longer races of the day were staged on a 77 Km course. 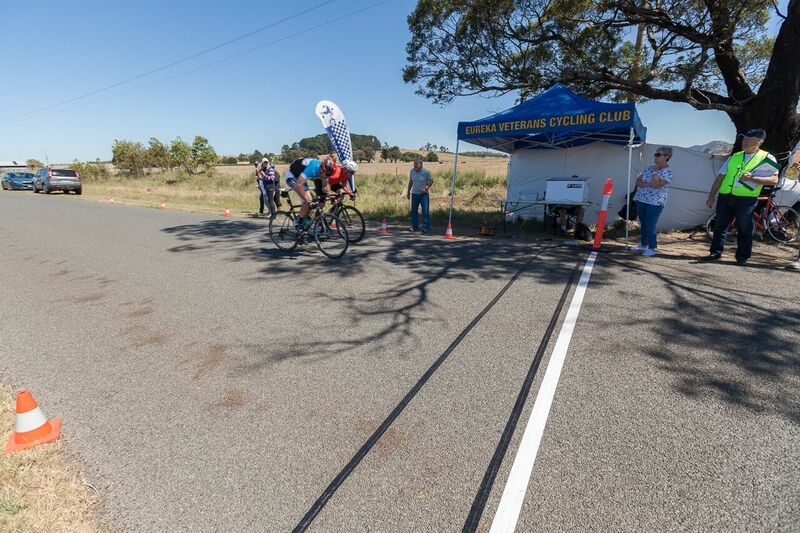 In the Men’s 35-39 race, James Ogilvie (Eastern) time trialled away to a magnificent 7 minute victory and averaged 40 Kph. Eureka’s Tim Canny finished second and he was over five minutes clear of the third placegetter – Eureka’s Craig Lee. 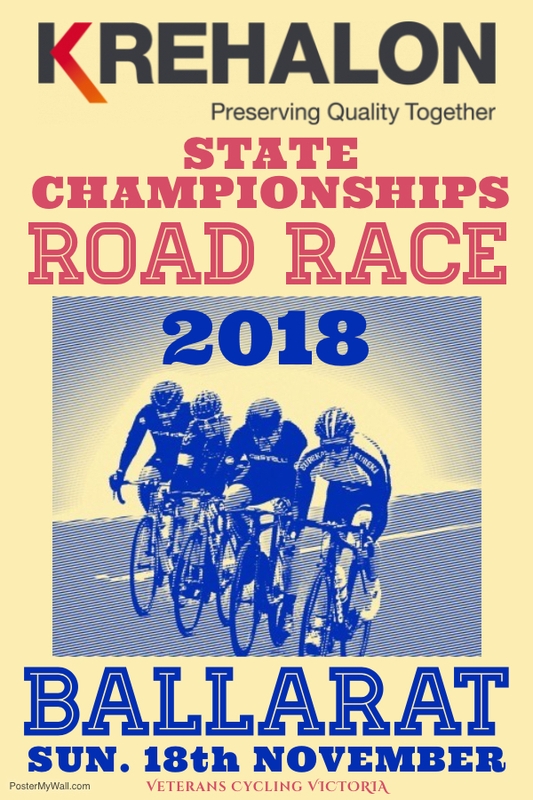 Northern’s Luke Medhurst broke away near the end of the 40-44 race to win back to back Victorian Road Race State Championships (won Division B race in 2017). 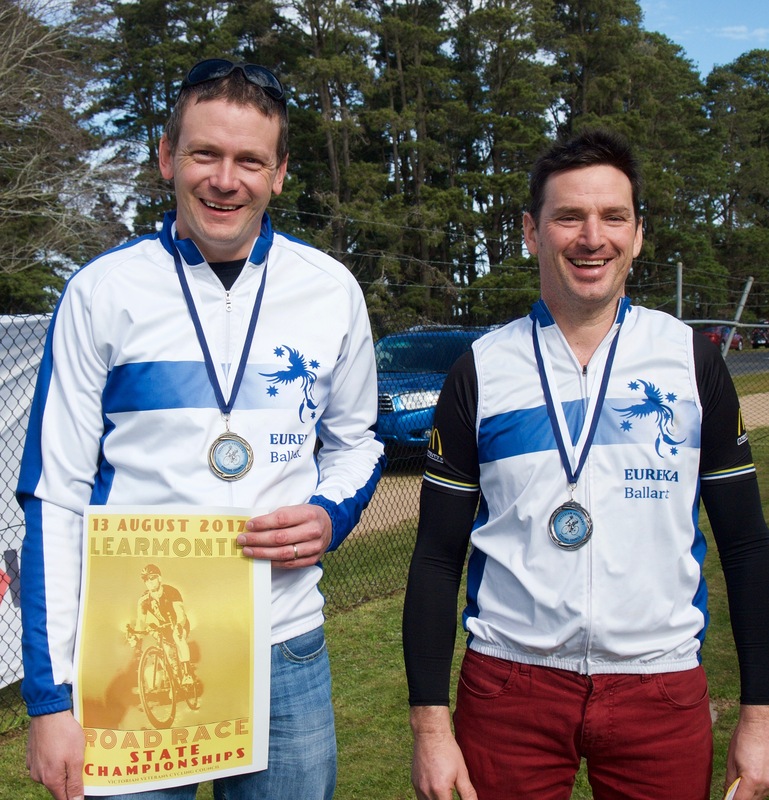 Michael Borowski (Northern) and Eureka’s Dave Ogilvie filled the podium positions. 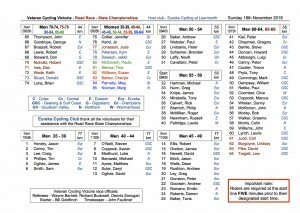 The Men’s 45-49 race was a tactical affair with Eureka providing eight of the eleven riders. 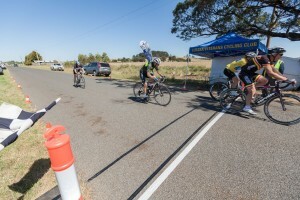 Eureka’s James Gretton exploded out of the gate and (in Grand Prix parlance) “punched a hole in the air for his team mates…Dean Wells capitalised on the effort and broke away early before being joined by fellow Eureka rider Andrew Rushton. The race regrouped at Black Bottom Road. Eureka riders keeping Geelong’s Dave Newett and Andrew Goodwin on a tight leash early in the race. Emilio Romano (Northern) broke away on the Mount Misery climb. Eureka’s Greg Ley bridged the gap and the two opened a few hundred metre lead heading towards Addington and the real climbing. 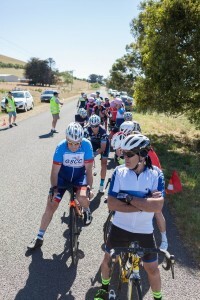 Newett and Goodwin broke clear and started to chase the two leaders, when Eureka’s Rob Ellis emerged from the pack and powered up the Harrison’s Road climb – catching Romano and Ley at the top. Newett was able to catch the leaders on the run down Flynn’s Road. 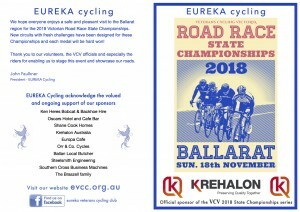 Wells and Goodwin were the next riders ahead of Eureka riders Jason Birch, Tavis Baker and Rushton. Eventually those riders would regroup. 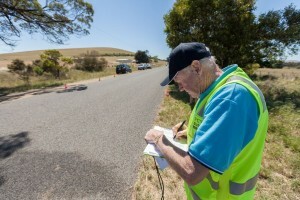 Eureka’s Peter Gunston had lost contact on the climb and was consigned to a time trial to the finish line. The four leaders steadily increased their gap and it was a race in four as they neared Weatherboard. Ellis tried multiple times to split the group, however they all followed the wheel. The four man sprint finish saw Newett claim back to back Victorian Road Race State Championships (won Division A race in 2017) from Romano. Registration: Race day registration from 8 AM at Eureka club rooms. Change rooms: Male and female change areas, including toilets and showers are available. 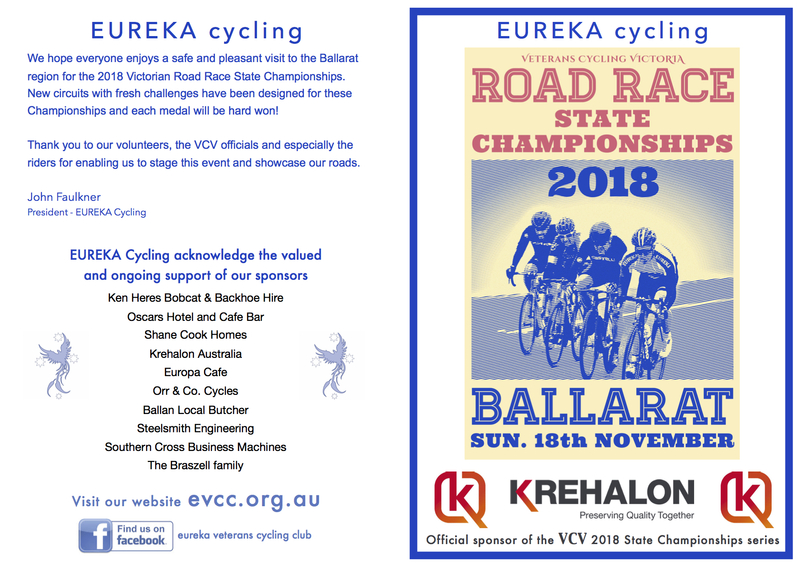 Medal presentations: The official VCV presentations will take place inside the Eureka club rooms from approximately 2 PM onwards. Food and drink: FREE tea, coffee and food will be available inside the club rooms after the races are completed. Soft drinks will be available for purchase. and being rewarded with medals for their efforts.